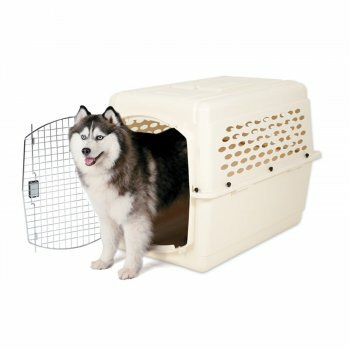 Home - Home and Travel - Crates & Kennels - Plastic Dog Crates - Pet Mate - Pet Mate Petmate Vari Kennel Extra Large 40"
Suitable for Retrievers, Dobermanns, German Shepherd, Italian Spinone etc. Use this hardwearing plastic crate for transporting your Dogs, Cats and other pets abroad or travel in the car, can also be used a home crate as the vari kennel offers a true den experience. Email a Friend about Pet Mate Petmate Vari Kennel Extra Large 40"
Ask a question about Pet Mate Petmate Vari Kennel Extra Large 40"
Bookmark Pet Mate Petmate Vari Kennel Extra Large 40"